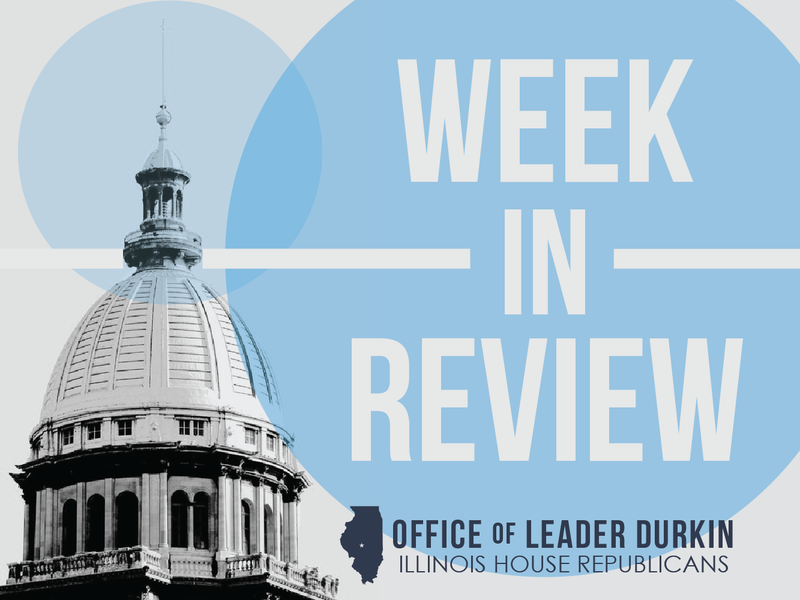 While the House committee’s action cleared SB 2046 for further action on the House floor, the lack of real negotiations on the State budget mean that spending bills of this type are seen by close observers of Springfield as less than serious. The full House did not take up SB 2046 for debate this week, and did not discuss an overall spending plan or budget agreement. Gov. 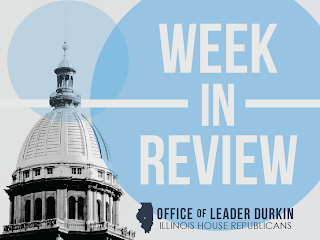 Rauner has stated his intent to veto this and other piecemeal budget bills that would overspend anticipated revenues by billions of dollars. Other states with budget challenges make progress. The Pew Charitable Trusts has conducted a nonpartisan survey of states with ongoing challenges in crafting a budget for fiscal year 2016. They have found that, in states other than Illinois, substantial progress has been made. Alabama and Massachusetts, after extensive wrangling, have achieved compromise budgets for the 2016 fiscal year. The budgets of New Hampshire and North Carolina, after being caught in policy-related impasses, have been signed into law. In Illinois’ neighboring state of Wisconsin, Gov. Scott Walker has signed a two-year budget. Mayor Emanuel calls for Chicago property tax hikes of almost $600 million. The proposals were presented by the Mayor to the Chicago City Council on Tuesday, September 22. Described as the largest city property tax hikes in modern history, levy increases totaling $588 million would be joined with a series of additional hikes in city fees and taxes. Under the plan, $543 million in levy increases would be allocated to balance the budget and meet increased actuarial recommendations for deposit into underfunded Chicago police and firefighter pension programs. A separate $45 million levy increase would be allocated to Chicago Public School construction. In Mayor Emanuel’s tax proposal, the $543 million budget/pension property tax increase would be implemented over a four-year period. However, the implementation would be “front-loaded” in such a way as to implement more than half the increase in calendar year 2016. The Mayor has stated that he will ask the General Assembly to enact a supplemental Chicago homestead exemption to eliminate the impact of this property tax hike for homeowners of houses valued at less than $250,000. This proposal, if enacted into law, would shift the burden of the property tax increase to owners of homes in stable neighborhoods and to owners of commercial/industrial property. 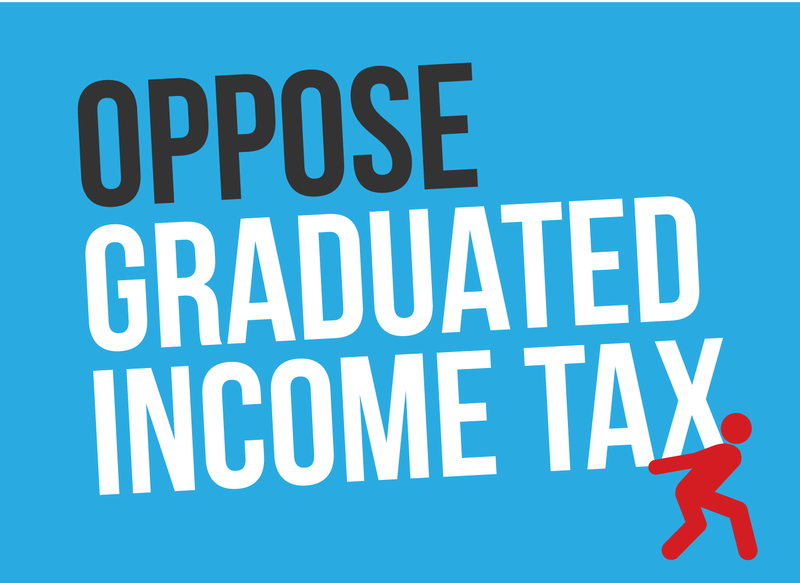 The language of this proposal has not yet been introduced as a bill in Springfield. Mayor Emanuel has warned that if this property tax increase is not enacted by the City Council, major layoffs of city public-safety first responders could be inevitable. New proposed city ordinance would raise ridesharing fees, allow ridesharing cars access to airports. The controversial ordinance is part of the Emanuel administration’s fall-2015 tax increase package. It would allow cars operated by affiliates of ridesharing apps, such as Uber, to pick up and discharge passengers at Chicago’s O’Hare and Midway Airports. Taxicab and ridesharing drivers doing business throughout Chicago will be required to collect and remit a new $1-a-ride city tax, which they will presumably pass on to their passengers. The ordinance also authorizes an increase in conventional taxicab rates. Uber, the largest ridesharing service doing business in greater Chicago, reports that it has created full-time jobs for 200 Chicago office employees and now has affiliate relationships with more than 20,000 drivers. Uber asserts that the proposed $1-a-ride fee will damage or block its plans to recruit an additional 10,000 affiliate drivers. Facing a $480 million deficit, school superintendent suggests almost 5,000 may be laid off. The dire prediction was made by Chicago Schools CEO Forrest Claypool in an interview on Friday, September 18. The personnel reductions, if concentrated among teachers, could cover as much as one-fifth of Chicago instructional staff. Claypool’s admission of the magnitude of the current budget crisis came after a controversial round of school closings and layoffs helped Chicago Public Schools (CPS) limp through the 2014-2015 school year. CPS has been hit by the current Illinois public-sector pension crisis, with much of the deficit coming from a steep “ramp” in the required contributions to be made by CPS to the school system’s underfunded pension funds. The status of CPS pension funds, relative to benefits, have been affected by historical underfunding and by a State constitutional mandate that benefits be treated as contractual obligations. Claypool warned that should the State not take action to close the $480 million budget gap, layoff notices could go out as soon as Thanksgiving 2015. Personnel reductions would take effect in the second half of the 2015-2016 school year. Global manufacturing giant will cut 10,000 jobs by 2018. The announcement was made on Thursday, September 24. Caterpillar currently employs approximately 21,600 personnel in Illinois, including 3,200 headquarters workers in downtown Peoria. The worldwide producer of construction and mining equipment stated that a “significant” proportion of the layoffs would affect its Illinois workforce. As part of the job cuts, Caterpillar’s February 2015 plans to build a new global headquarters complex in Peoria have been “put on hold.” Worldwide salaried and management employees in many locations, including Peoria, will form a significant share of the overall cutbacks. Many of the layoffs are expected to be implemented during the final months of calendar year 2015. Factory workers will also face the possibility of layoffs. Caterpillar operates eight plants in Illinois, in Aurora, Decatur, East Peoria, Joliet, LaGrange, Mossville, Mapleton, and Pontiac. The firm announced this week that its overall cutback plan includes a reduction of about 10% in the global square footage it devotes to manufacturing. Analysts pointed to deepening weaknesses in China and other East Asian markets as causes of the announcement. Demand in China for specialty machinery, such as coal-mine scoopers and construction site graders, has collapsed in recent months. Report says production of Jeep Cherokee could move to Belvidere plant. With a decision by Fiat Chrysler Automobiles to shift production of its top-selling Jeep sports-utility vehicle, the Jeep Cherokee, out of the carmaker’s historic Toledo plant, calls have mounted to move production of the popular line to the firm’s plant in Belvidere, Illinois. Automotive News reports that the firm has decided to choose Belvidere as the location for future Jeep Cherokee assembly. Fiat Chrysler will make room for Jeep Cherokee assembly in Belvidere by moving production of the Dodge Dart to its wholly-owned assembly plant in Toluca, Mexico. A tentative contract between Fiat Chrysler and the United Auto Workers, currently awaiting ratification by workers, includes provisions that imply the implementation of this production shift. The Jeep Cherokee, launched in 1974, is credited with helping to pioneer the market for American-made four-wheel-drive sports-utility vehicles. Chicago e-commerce firm to lay off 1,100. The announcement by e-commerce firm Groupon came on Tuesday, September 22, 2015. In a major retrenchment announcement, Groupon – which believes that it can continue and expand on its mission statement of fostering local-based ties between commerce and consumers – stated that it will cease operations in seven countries, including the economically fast-growing nations of Taiwan, Thailand, and the Philippines. The 1,100-job cutback will reduce Groupon’s total workforce by about 10%. Most of the redundant jobs are expected to be located outside the U.S. The firm stated that jobs at its River North-based Chicago headquarters were not among those targeted in the cutback move. Reboot Illinois points out Illinois’ lagging record in job creation. The report, issued on Monday, September 21, responds to and provides background for Illinois’ slow recovery from the 2008-14 economic downturn. The Reboot Illinois report traced job creation over a five-year period covering much of the downturn, from June 2009 through June 2014. During this 5-year span, the Prairie State ranked 42nd among the 50 states for job creation since June 2009. Illinois increased its job positions by 3.0% during this recession-affected time period. During the same span of time, jobs in Wisconsin increased by 4.4%, the same numbers in Iowa increased by 5.0%, Kentuckians saw 5.1% more positions during the five-year period, and the number of jobs during the same period in Indiana increased by 7.8%. Key association of school districts supports Rauner push to eliminate burdensome State mandates. The push to eliminate many of the day-to-day operational mandates upon Illinois local school districts is a major component of Governor Rauner’s “Turnaround Illinois” agenda. The Large Unit District Association, which represents many of the school districts of Illinois that have the largest pupil enrollments, has swung behind the Governor’s proposal and has joined his call that it be brought before the General Assembly for discussion and debate. Mandates are imposed by State law through the Illinois State Board of Education (ISBE), an independent State board appointed by the Governor. Mandates seen by local school districts as unduly burdensome include mandatory drivers’ education, including behind-the-wheel training; mandatory daily physical education; and a hard bar on third-party contracting, or outsourcing, for essential operating services such as janitorial work. Rauner’s platform is pushing to allow local school districts, on a district-by-district basis, to lift the ban on school district third-party essential-operating-service contracts. Proponents believe that lifting this ban will reduce upward pressure on school budgets and school-related property taxes. The Rauner platform calls for returning much of the monies saved through this pathway to taxpayers by freezing property tax extensions. Current law allows individual school districts to apply to the General Assembly for waivers from some, but not all, of the school mandates imposed by the State. The school district must undergo an administratively burdensome process to make the waiver request and get it approved. School districts may apply for waivers from the daily physical education mandate, and may apply for relief from some fee-related provisions of the driver’s education mandate. Many ISBE mandates cannot be waived under any circumstances. Illinois House mourns death of colleague Rep. Esther Golar. The longtime Chicago lawmaker’s death was announced on Monday, September 21. Rep. Golar, who represented neighborhoods on the South Side on both sides of the Dan Ryan Expressway, was the chairperson of the House Committee on Elementary and Secondary Education – School Curriculum and Policies. Esther Golar was praised by Democratic and Republican colleagues alike for continuing to work as a lawmaker even as she grew seriously ill with cancer. The Englewood representative attended her final session of the Illinois House on Wednesday, September 2. Under subsection 1(d) of Article IV of the Constitution of 1970, local political leaders will meet within 30 days to appoint Rep. Golar’s successor as representative from the 6th Representative District. The appointment will be good for the remainder of the term of the 99th General Assembly, expiring in January 2017. The House adopted HR 785 as a memorial resolution and expression of mourning for the death of their colleague, Representative Esther Golar. Gov. Rauner announces termination of Illinois State Lottery’s private-sector operating partner. The decision to sever ties with the Northstar Lottery Group was announced on Friday, September 18. The move, which will become fully effective on January 1, 2016, closely followed the public disclosure of findings by the Commission on Government Forecasting and Accountability. The legislature’s nonpartisan budget office found last week that the State Lottery had transferred $125 million less to State coffers in FY15 (ended June 30, 2015) than it had in FY14. The decline in Lottery profits occurred while the Northstar Group was operating as the State Lottery’s private partner. The findings were summarized in the CGFA report “Wagering in Illinois: 2015,” which was released on Thursday, September 17. 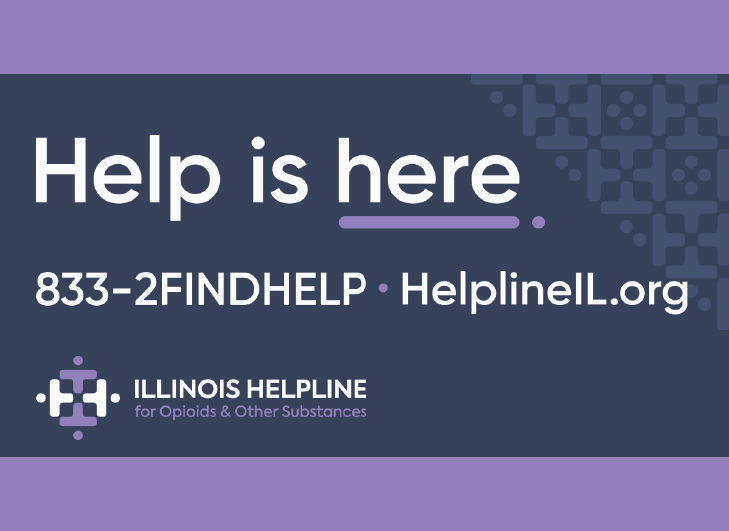 Governor Rauner’s general counsel, Jason Barclay, reported that the termination move will save Illinois taxpayers an immediate $22 million. A previous termination deal, negotiated by Rauner’s predecessor Pat Quinn, had committed Illinois to pay $22 million to Northstar as a separation fee. By contrast, the January 1, 2016 Rauner termination agreement includes no fee to be paid by the State to Northstar. Mumps cases reported in Bloomington-Normal high schools. The secondary schools, Normal West and University High, are now classified as outbreak locations of the infectious illness, which is transmitted by virus. The Bloomington-Normal outbreak followed appearances of the virus at the University of Illinois at Urbana-Champaign (UIUC) and Eastern Illinois University, both located in east-central Illinois. Twenty-one cases of mumps had been confirmed in McLean County as of Friday, September 18. More than 200 cases of mumps have been reported so far in Illinois in calendar year 2015. Many Illinois residents have been vaccinated with measles-mumps-rubella vaccine and are less likely to get the disease. The illness is highly contagious, however. Mumps is characterized by severe, flu-like symptoms and by swollen glands, ovaries, and testicles. The federal Centers for Disease Control (CDC) further describe mumps here. House celebrates Illinois outdoor sports. On Thursday, September 24, the Illinois House recognized National Hunting and Fishing Day, which will be observed on Saturday, September 26. In Southern Illinois, observances will center at the Southern Illinois Celebration of National Hunting and Fishing Days at John A. Logan Community College in Carterville. The Prairie State is known throughout the United States as a center for trophy deer hunting. The Department of Natural Resources (DNR) supervises deer hunting throughout Illinois and grants licenses to sportsmen. The license application season is active in preparation for the first Illinois firearm deer season, starting on Friday, November 20. Illinois’ top agriculture leaders resign. Governor Bruce Rauner Thursday accepted the resignation of Illinois Department of Agriculture Director Phil Nelson. Nelson will remain employed with the Department for the next 30 days to help with the transition. State Fair Director Patrick Buchen has also stepped down. Rauner appointed current Department of Agriculture Chief of Staff Warren Goetsch as Acting Director. A search for a permanent replacement is underway.